Tonight’s match is eagerly awaited by all football fans, this is the match Real Madrid – Barcelona, ​​The Classico as it is called those who are trendy CUTE FOOT. 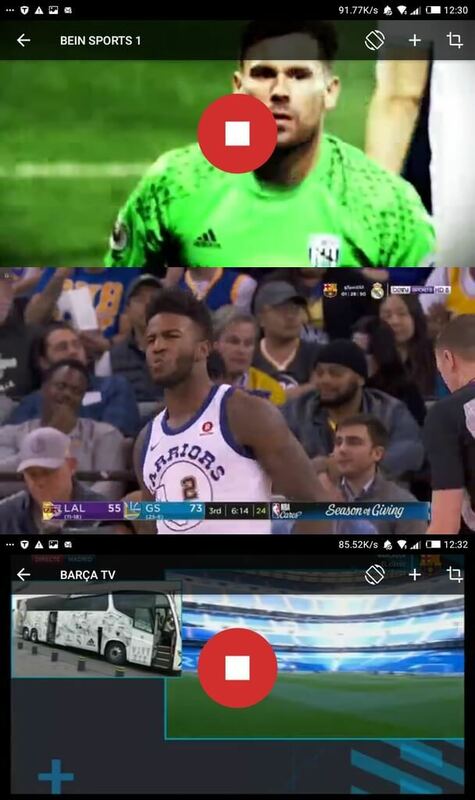 We are still not all in front of our televisions to see the football matches however it is possible to watch the football matches live for free on your computer, Android or iPhone, so here’s how. There are several applications to track football matches on PC and smartphone but they are not all reliable. In this article, I will tell you about 3 ways to follow sports specifically football matches on your Android smartphone, iPhone, iPad or Computer. We already talked about the application MobDro , This is an Android application that can track hundreds of channels live and free on his Android phone. It is possible to install MobDro on Computer using an Android emulator. There are also plenty of streaming site football matches, we will not list them all. After testing several here are the sites that I recommend you to follow LaLiga football matches, Champion’s League, … for free on your phone or computer on the Internet. However the site is in Arabic but works very well. VercanalesTV is also one of the sites to follow most football channels on the internet directly from its web browser. directly on YouTube. YouTube has introduced the “LIVE NOW” feature for some time and so some YouTube channels broadcast live football matches. Just search for the match just before it starts. It’s good, you have all the methods to follow the live football channels on your computer or smartphone. You will have no excuse to miss a match. See you. Your questions and comments in the comments.